So I'm not certain right now if I have one book coming out or two, this September. So I will let you ponder the question for me. I have a book called Fortunately, the Milk coming out from Harper Children's on September the 17th. It's published in the US, Canada, and many such places. It's illustrated by the brilliant Skottie Young. 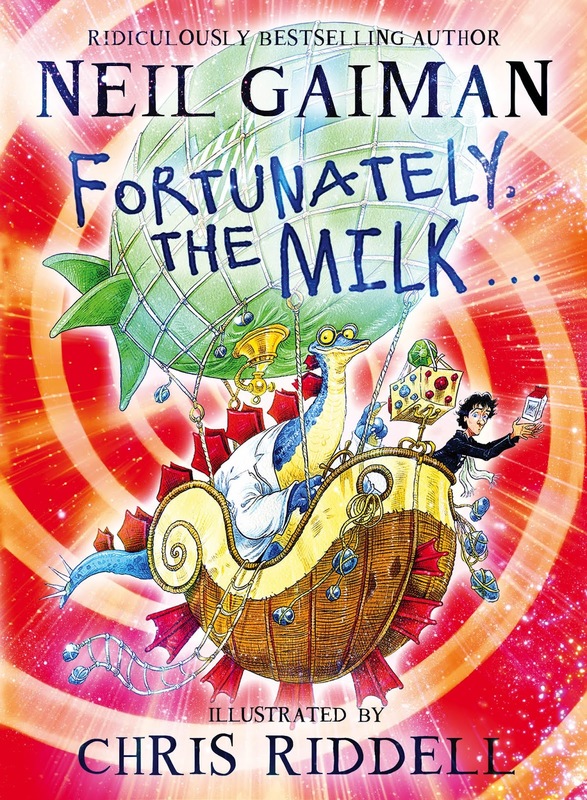 I have a book called Fortunately, The Milk... (note the ellipses) coming out from Bloomsbury on September the 17th. It's published in the UK, Australia and various other places. 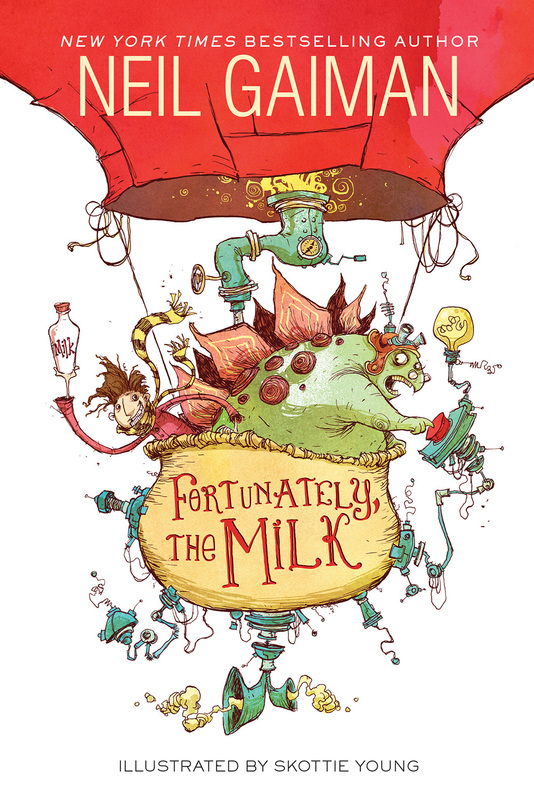 It's illustrated by the amazing Chris Riddell. And I'm not really sure why there are two books. I know that different places and different publishers like different styles of illustration. And I am not grumbling, because I love Skottie's art, and I love Chris's art, and they are completely different -- in approach, in style, in storytelling. Why is the milk in a bottle in the US, where milk almost never comes in bottles? Why is the milk in a carton in the UK, where milk actually does still turn up in bottles? Why does the dad in Chris Riddell's artwork look mysteriously sort of like me? there ARE however, some answers, to all of your Fortunately, The Milk (...) questions here, in this video.